At less than US50, you get to access some of the Best Cheap Android TV Boxes from Aliexpress this 2019. The perfect solution these days for watching free premium shows are these Android TV boxes. These small magic boxes can easily transform your ordinary TV into a smart distributor of amazing movies and shows. You can easily have access to various games and applications along with the live streaming sports. These Android TV Boxes can also easily establish a valid internet connection. Choosing a right Chinese Android TV box is not a daunting choice to make as our article is to help you out with this problem. We tell you about the top five Android TV boxes available on AliExpress with all its features, all of which comes at affordable price tags. Ranging from USD $22.66-48.28 the product is available in six color variants, to be delivered to you within twenty days. 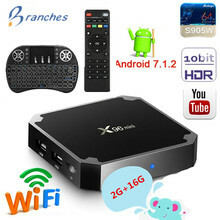 This Android TV box is available with dual Wi-Fi and an I8 keyboard along with enabled IPTV. It works on a 1000M Ethernet and has a video outlet of HDMI 2.0 up to [email protected] and a BT4.1 Bluetooth. The TV box has a memory of 3GB DDR3 and uses an ARM Mali-T820MP3 GPU up to 750MHz (DVFS). The video display is 16.1 and gets regular system upgrade, also these Android TV boxes are totally wireless. The boxes use Amlogic S912 Octa-core ARM Cortex-A53 CPU. You can easily buy the product HERE. The T95N Amlogic S905X Android TV Box comes with a 64-bit quad core UHD and 4K Media Player. The device is available just at an affordable price range from USD $30.99-38.99, the product can be availed by any payment method and all the transactions are protected under the buyer protection mode. The device uses Penta core Mali 450 GPU and has a pre-installed KODI supporting Android 6.0 operating system. This Android TV Box just weighs half a kg and provides an internal storage of 8 GB. Also, it has Ethernet of 100M and has remote control included. 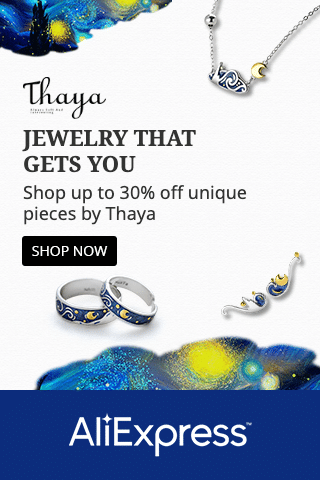 The product can easily be brought on AliExpress via this LiNK. This A5X Plus Android 7.1 TV Box is available at a price of USD $32.99 to 53.50 and can be ordered using any payment mode. The product will be delivered within twenty business days and all the shipments are secured under the buyer protection mode. This device is available with an internal 2 GB DDR3 storage and supports Penta core Mali-450 and uses the 7.1 Android operating system. It has remote control included and is totally supports the wireless functioning with a 100 M Ethernet.Also, the video output mode used is HDMI 2.0 along with the RK3328 Quad-Core 64bit Cortex-A53 CPU. You can make a purchase for the product HERE. This 2K full HD TV box just costs USD $27.21 to 56.15, available n six variant color options and will be shipped to you between nine to eighteen days. The device is remote control operated and uses Amlogic S905X Quad-core 64-bit CPU with regular system upgrades. Also, it uses the 2.0 GHz, Quad-core processor with an internal space ranging from 8 to 16 GB. The device has pre-installed KODI and an Ethernet connectivity of 100 M. Only 5 V DC is consumed by this android television box, and it runs on a 6.0 Android Operating system with a Mali 450 MP GPU. You can easily buy this HDMI 2.0 video output product at this HERE. This TX3 PRO TV BOX Android 6.0 Amlogic S905X Quad Core Set-top Box has a 1G 8 G RAM and an included Wi-Fi media player. The product costs just USD $28.00 and will be shipped to your doorsteps between twelve to twenty days. You can make the payments using any international bank transfer method or credit card; all of these transactions are secured under the buyer protection mode. The device is wireless enabled and has 100 M Ethernet connectivity, along with a 1 GB internal memory space. It also has enabled Google cast and consumes 5 V DC. The device works with Amlogic S905X Quad-core 64-bit as its central processing unit and Penta Core Mali-450 750MHz GPU. The product is remotely operated and has KODI pre-installed. This light weighed product just weighs 397 gm and can be easily bought HERE. That is all folks, as you can see – Most of these Android TV Boxes are less than $50. Best to buy from sellers that garner good feedbacks. Pricing is secondary. Trust is the topmost factor when comes to buying products from Aliexpress. Hope you like our review on the BEST CHINESE ANDROID TV BOX this 2019.